Please help us by donating today. To improve the lives and well-being of Somalis suffering from mental health problems in the community and in Somaliland by joint – up and holistic approach. 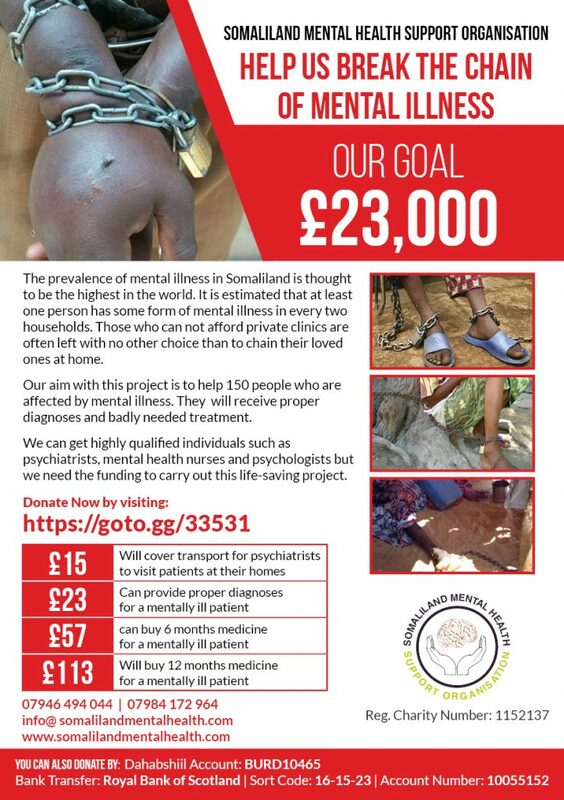 Find out where we work and the type of work we do in helping people with mental illness in Somaliland. Get involved today whether it is by donating, fundraising or volunteering, your help can transform the lives of people with mental illness today.